The other day I did a podcast about Bergman and Antonioni, and the word "boring" appeared a few times. It got me thinking about something peculiar. Whenever someone says "I thought that film was boring." there is usually someone else who replies "Ah, but boring is good! Boring films make you think, and reflect upon what you are seeing. It is a healthy antidote to Hollywood spectacles." This is what I find rather peculiar. For one thing, are there any proofs at all that a boring film actually has that effect on the viewer, and that when we are bored we think deep and meaningful thoughts rather than something like "Hmm, maybe next Christmas I should go to some place warm, but where? Perhaps Madeira, I have heard nice things about it. I wonder if Jennifer Lawrence has been there? Where does she live? Probably LA. That is also a warm place, maybe I should go there? Or what if she lives in New York perhaps. But it is not warm there. Is she dating anyone now? Speaking of dating, I need to shave." Another thing is that boredom is not a property of a film, like colour or length is. You cannot point to a film and say "That is objectively speaking a boring film." I thought The Avengers (Joss Whedon 2012) was incredibly boring but I am not sure the cheerleaders of boredom would tell me off for saying that, or argue that it is good for me to experience that boredom. What they mean are films like The Turin Horse (Béla Tarr 2011) or Jeanne Dielman, 23, Quai du Commerce, 1080 Bruxelles (Chantal Akerman 1975), long films where not much is happening on the surface. But I do not find either of them boring. Would the boredom adherents consider it a failure if a film did not bore them? As it would be absurd, probably not, but it is not more absurd than the original argument that there are films that are objectively boring and as such good for you. Sometimes it seems people feel guilty about being bored, but they should not. Being bored is just as valid as being overwhelmed, amused or disappointed. I suppose the argument the pro-boredom crown is making is that boredom is an alienating effect, in the Brechtian sense, but I am highly sceptical of Brechtian alienation too. There are several reasons for this, and one is that I see no reason to assume that an alienated audience will think in new ways or be politically enlightened, just because of the alienation. I also think that many get confused about what alienating effects really are and which films have them, but that is for a later post. In short I find the whole discussion about boring films peculiar, and intellectually shallow. There is also something condescending about it, both towards those who complain about a film being boring and to the filmmakers. To say that someone's film is boring is a weird kind of praise, since few, if any, filmmakers set out to make boring films, or would feel comfortable if told that their films were boring. Is it not similar to saying to a chef "Your food taste awful, and that is what is so good about it. It really made me think about food, poverty and those who go hungry in the world. Can I have some more please?" Finding something boring is not a personal flaw but a natural, subjective reaction, and I am not convinced that we do art any favours when we praise it for being boring. Bergman speaks of Antonioni on several occasions. The quote above was from an interview John Simon did with him in 1971. It has been re-published in Ingmar Bergman: Interviews (2007). 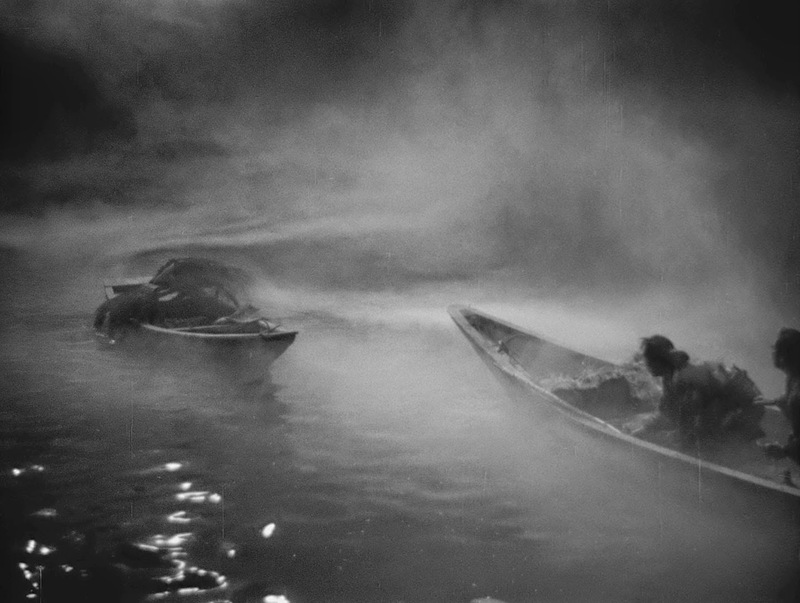 Kazuo Miyagawa was one of Japan's foremost cinematographers, active from the 1930s to the 1980s (he died in 1999). 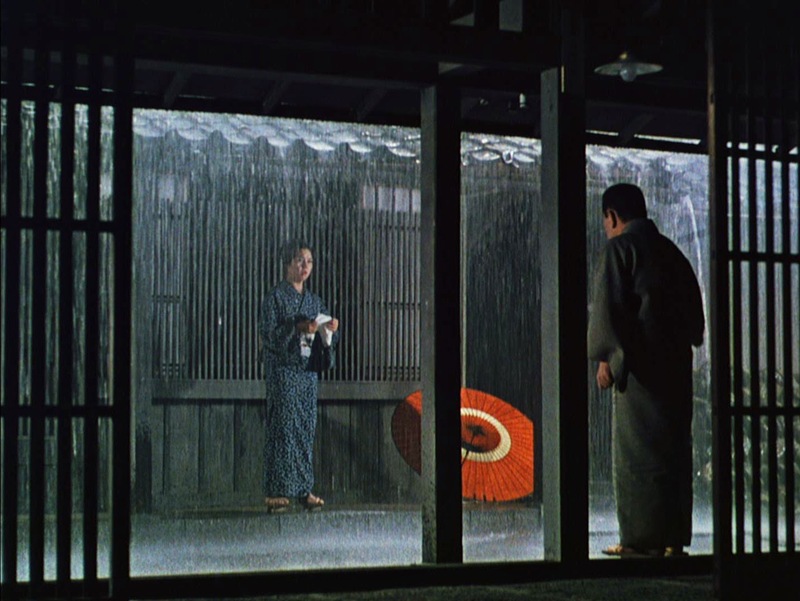 He photographed several of the highlights of Japanese postwar cinema, and worked with, among others, Yasujiro Ozu, Kenji Mizoguchi, Akira Kurosawa and Kon Ichikawa. He said that he was inspired by classical Japanese painting, and he had a unique feeling for the material and the chemical processes, and he could do most anything. For some directors he had to follow their lead, while others gave him a free hand to experiment and do what he liked. He once said that "A director and cameraman are like husband and wife. Even though they may fight, all their films are their offspring." In short, he deserves our attention. 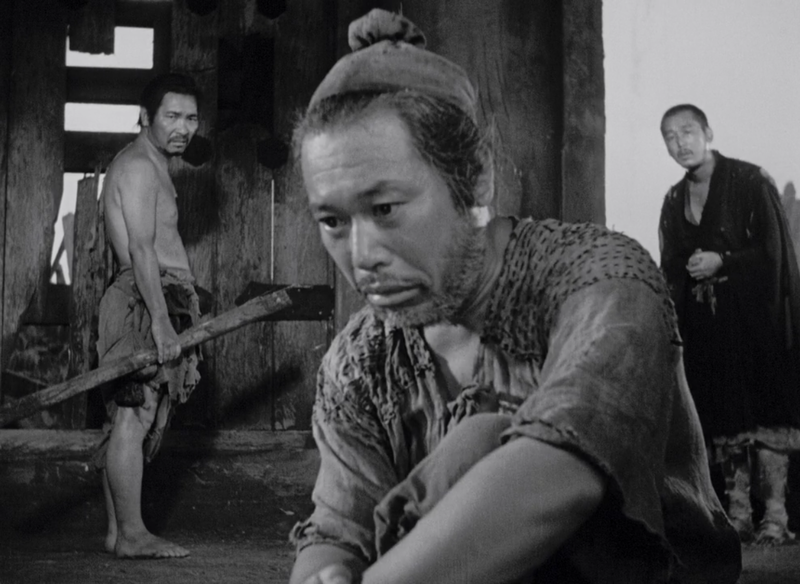 Here are some images from his films. 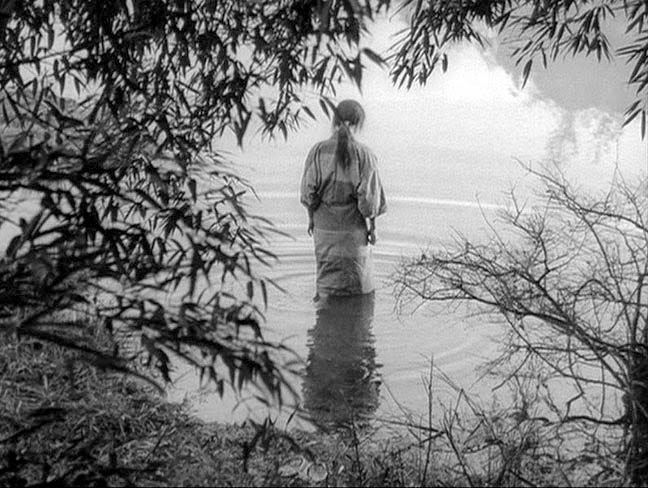 Another exceptional film Miyagawa photographed is Conflagration (Ichikawa 1958), and here is a clip from it. Many years ago I attended a course in film history. 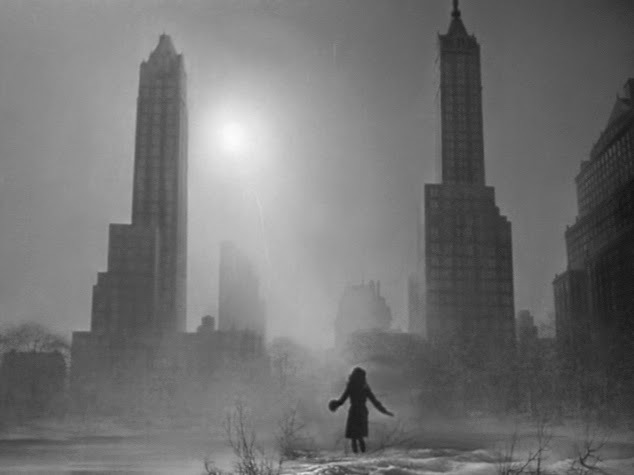 One week the topic was Italian neorealism and the lecturer said that what was new and exciting about neorealism was that instead of filming in studios and using film stars they shot on the streets, in actual locations, and with unknowns. The next week the topic was French New Wave and the (same) lecturer said that what was new and exciting about the French New Wave was that instead of filming in studios and using film stars they shot on the streets, in actual locations, and with unknowns. It is one thing to mistakenly claim that neorealism was all about location shooting and using amateurs, but saying that what was new with the French New Wave was exactly the same thing that the week before was new with neorealism should have given even that lecturer pause. But no, and the students diligently wrote down what was being said, whereas I shook my head in disbelief. It is often said that critics and scholars who work on auteurs are being romantic, propagating the myth of the artist as a lone genius even though that is not how most auteur scholars look at filmmakers. But it has many times struck me that those who write about, and eulogise, new waves, of which there were quite a few in the 1960s and 1970s, are often the most romantic of scholars, combining a love of radical Marxist politics with an admiration of angry young men. Geoffrey Nowell-Smith's book Making Waves: New Cinemas of the 1960s from 2007 is a good example of this romanticism. It is the kind of book that has extravagant sentences like "The cinema of the 1950s had been on the whole apolitical." which is not true at all. It is not even clear what it means. There are also bold statements like "The first person to blend realism and fantasy in a convincing way was Roman Polanski. ", which is a meaningless statement when there is no explanation as to why, to mention a few, Luis Buñuel or Michael Powell or Henry Hathaway's Peter Ibbetson (1935) or William Dieterle's Portrait of Jennie (1948) are disqualified. It also has a chapter called "Technological Innovations: Colour, Wide Screen, the Zoom Lens", as if colour and wide screen were invented in the 60s. There are many new waves, often vaguely defined, but the most famous is of course the French New Wave. Yet even it is hard to define. Even to say when it began is hard. The most conventional starting point is François Truffaut's The 400 Blows (1959), which is fine if the definition of a New Wave-film is a film by Truffaut or Jean-Luc Godard. But if the definition is a film by a first-time filmmaker who was formerly a critic as Cahiers du Cinéma, which is a common definition, it then at least follows that Claude Chabrol's Le beau Serge and Les cousins (both from 1958), must be counted. That is the starting point for David Bordwell and Kristin Thompson in Film History: An Introduction. But if the French New Wave is to be defined not by the background of the filmmakers but from the style and vision of the actual films, then it would seem that Louis Malle's Lift to the Scaffold (1957) deserves to be included, and his follow-up The Lovers (1958), both with Jeanne Moreau. Why should Malle be disqualified only because he was not a writer at Cahiers du Cinéma when his films, visually, temporally, thematically, aurally, and actor-wise, are just as much New Wave as Chabrol, Truffaut or Godard? Sometimes it feels like snobbery and nothing else, which is not a valid criterion when doing film history. Peter Cowie, in Revolution! The Explosion if World Cinema (2004), a title which clearly signals the romanticism, wholeheartedly embraces Malle whereas Nowell-Smith does not include Malle (he calls him "uninterpretable and contradictory"). Bordwell and Thompson do not include Malle either, and call him "commercial", although it is not clear that he is more commercial than, for example, Chabrol. Bordwell and Thompson do on the other hand include Georges Franju as a New Wave director (as part of the so-called "Left Bank"-group of the New Wave, which also includes Alain Resnais and Agnès Varda), but there they might be in a minority. In A History of the French New Wave (2002), Richard Neupert wrestles, on several pages, with whether Malle is New Wave or not. But Franju is never mentioned by him at all. Naomi Greene in The French New Wave: A New Look (2007) regards Malle as separate from the New Wave but important, and she puts him together with Jacques Demy. Most however like to include Agnès Varda and her film Cleo from 5 to 7 (1962), but that was not her first film, she made her first feature in 1955, La pointe courte, and consequently it is sometimes called the first New Wave film. The same year, 1955, Alexandre Astruc made Bad Liaisons, which some want to claim as part of the New Wave too. An interesting case is Roger Vadim. 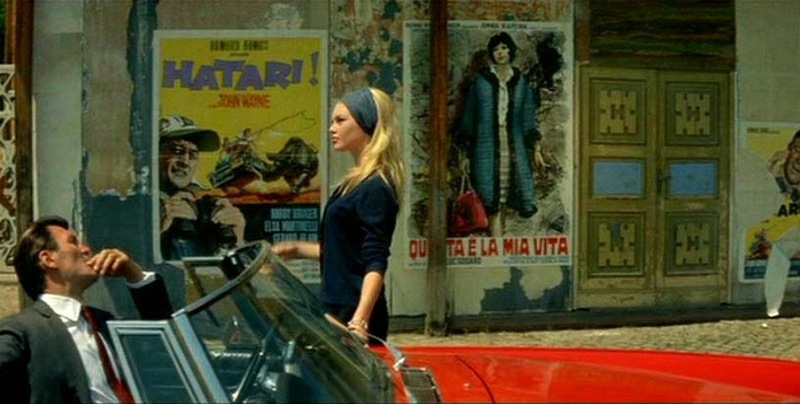 His first film And God Created Woman... (1956), in alluring widescreen and colour, with Brigitte Bardot and Jean-Louis Trintignant, has the youthfulness, rebelliousness and movement of Truffaut, albeit with less depth, and as it was very successful it made it easier for the later New Wave directors to get funding, Vadim's later film Les liaisons dangereuses (1959), with Trintignant, Jeanne Moreau and Gérard Philipe could easily be counted as New Wave, where it not for its director. We can date the birth of the New Wave itself to 1956, the year when Coup du berger, a short by Jacques Rivette, produced by Pierre Braunberger, was filmed. 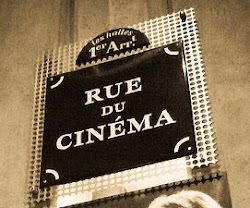 The role played by Films de la Pléiade - de small production studio run by Braunberger, a former producer of Renoir, Buñuel, Clair, and others - was central to the renewal of French cinema. Le coup du berger (available here) is 28 minutes long and Rivette made it together with Chabrol and Jean-Marie Straub. Worth to add though is that Truffaut made his first short, Une visite, a year earlier, in 1955, working together with Resnais and Rivette. So it is a debatable point when it specifically began, and an unnecessary one. French New Wave was part of a general movement within French culture and the term itself was coined 1957, at the newspaper L'Express, so it prefigures Godard's and Truffaut's first feature films and was originally not even about films at all. It is much larger than that. Suffice to say that the French New Wave was a general change in the cultural atmosphere in France when those who were children during the war, or were born during the war, came of age. Film was part of that, and there was no decisive moment or specific film when it all began, it was a long process that snowballed. One important thing though, which can be specified in time, was 1959 when the Minister of Culture, under André Malraux, changed the funding situation for films and decided to give money to first-time directors. What happened next was the shock when over 100 new filmmakers got to make their first features during a few years. That was the explosion that put the term French New Wave on everybody's lips. More specific than that we need not be. The French New Wave should not be slimmed down to be about certain themes or a certain style (the films vary considerably), and it is not about a handful of famous directors or any particular journal. Better to say that the French New Wave was the sum total of the hundreds of new filmmakers who made their first films during a handful of years, and everybody is included, from Vadim to Rivette. I mean Jean Renoir, Robert Bresson, Jean Cocteau, Jacques Becker, Abel Gance, Max Ophuls, Jacques Tati and Roger Leenhardt; these are French cinéastes, and it so happens — curious coincidence — that they are auteurs who often write their dialogue and some of them themselves invent the stories they direct. But it is not obvious that a film like Devil in the Flesh (1947), directed by Claude Autant-Lara and written by Aurenche and Bost, is less cinematic than a film by Bresson or Becker. This is not to compare the quality of the films, just to point out that Truffaut might not have an obvious case. Neither was it the case that the critics at Cahiers du Cinéma were in agreement. Truffaut liked Becker, but Rivette hated him. Both Truffaut and Rivette disliked Clément but Pierre Kast thought Clément was the best French director working in the 1950s. These are debatable points, but what is important is that French cinema prior to the French New Wave was rich, varied, interesting and filled with greatness. The best French films made in the 1950s by, for example, Melville, Becker, Bresson and Ophüls, are equal to the best films made during the 1960s, at the height of the Wave. There is no reason to diminish what came before just to emphasis the New Wave, however you define it, because the New Wave can take care of itself. Truffaut's article can be found in Movies and Methods: Vol. 1 (edited by Bill Nichols, 1976), among other places. The subject of Howard Hawks and music is inexhaustible. Obviously for the importance of music in creating mood and developing characters, but also for the way that scenes with music are staged or the kind of music that is used and how various musicians appear in his films, and how all of these things develop over the course of his career. It is at the centre of his artistry. Here is a wonderful and typical example from Ball of Fire (1941), shot by Gregg Toland. Gene Krupa plays "Drum Boogie" on a box of matches.